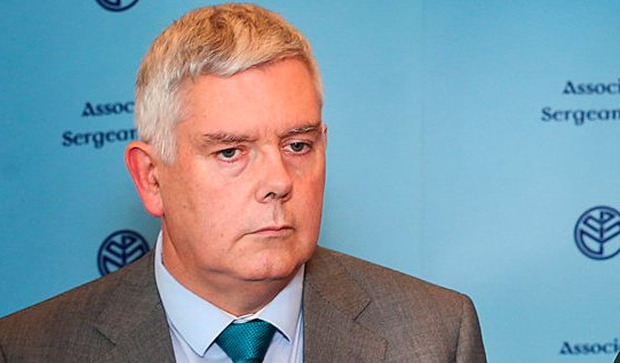 Association of Garda Sergeants and Inspectors (AGSI) general secretary John Jacob said any member facing an investigation into allegations in the past had been given its backing. He expected that would also happen on this occasion. Two high-ranking members of the association have opted to stay away from its annual conference, which began in Ballyconnell, Co Cavan, yesterday, because they were not satisfied at the way the allegations were being handled. Vice president Paul Wallace and deputy general secretary Antoinette Cunningham both decided not to attend the three-day event. An apparent rift within the leadership widened after the controversy became a public issue at the weekend. The issue totally dominated a four-hour meeting of the association's national executive on Sunday evening, where most members agreed that the conference should be held as planned. But Mr Jacob said that he did not agree that the controversy had cast a cloud or a shadow over the conference. He said he was not sure it had been clearly articulated by those who had stayed away whether their absence was related to that specific issue, and he was not able to speak on their behalf. There were 140 delegates attending to listen to the debates and presentations. "The delegates that have spoken to me are not concerned about those allegations and they want to get on with the agenda," Mr Jacob added. "Due process should be allowed to take its course and Garda management allowed to investigate these allegations. "In the past the association has supported any of its members facing allegations and that will happen on this occasion, too." President Cormac Moylan said everyone was innocent until proven guilty, but he admitted that the timing of the publication of the allegations and the Garda investigation was "not wonderful". Justice Minister Charlie Flanagan later called on the association to resolve the controversy that has created divisions in its leadership. Mr Flanagan told AGSI members they needed a strong association, in which they could have confidence. He added that as minister he needed a strong association, which he could trust to represent them. "And, as a country, we need a Garda leadership which we know adheres to the highest standards," he said. Addressing its annual conference, Mr Flanagan said: "I know that this year you are having some difficulties and that some of your senior members have felt unable to attend. "I am looking forward to the resolution of these issues".